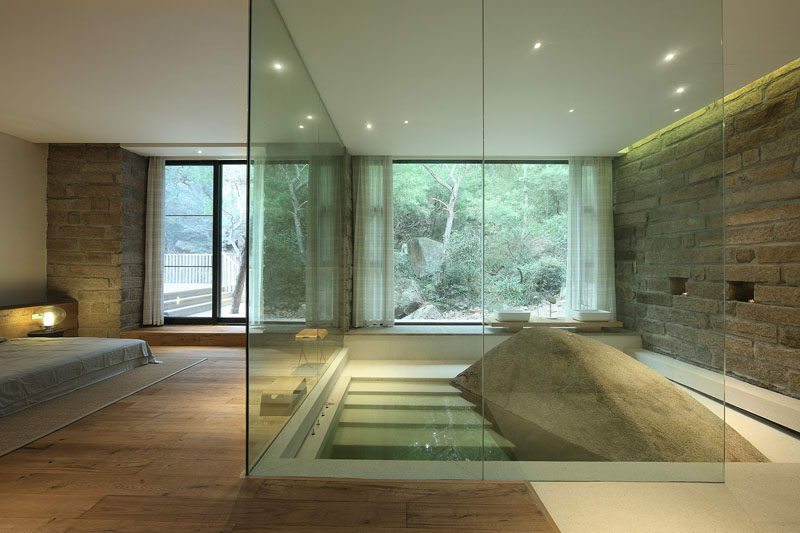 Here’s something we don’t see too often, a large boulder in a bath, but that’s exactly what’s inside this house in China designed by FM.X Interior Design. The home, located on a quiet and peaceful piece of land in a valley away from the city, is surrounded by mountains and forest. 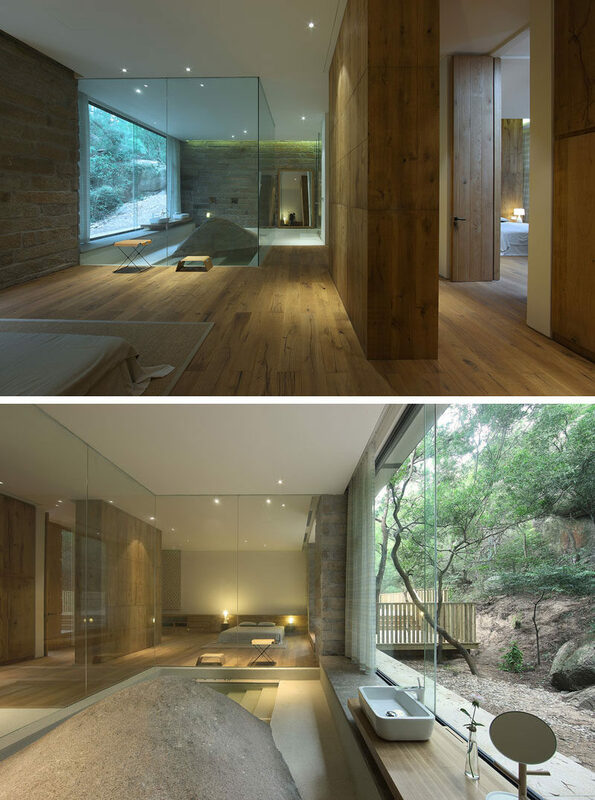 The home owners wanted the house to blend in with nature, and as a result, they decided to retain some natural elements, like large boulders, in the design of the house. In the master bedroom, they were able to include a large boulder and make it a feature in the master bath by having the boulder become part of the bath design. 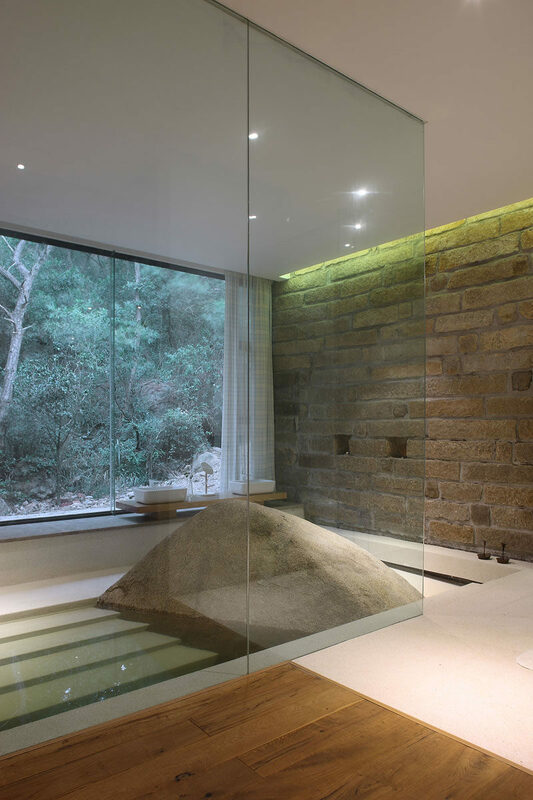 The bath is sunken down into the floor, and the boulder creates a unique almost-sculptural element in the design. Definitely not something you see everyday.